This course will be presented over four 3.5 hour afternoon sessions. Participants will be able to download the course outline from the CAPS web page onto an iPad/Laptop or print it out. The course will teach you how to download your images into Elements 18, tag and rate each image and select the image and place it into an Album. You will learn how to find your images among your extensive Albums of images. Participants will learn how to process images in RAW Edit and Sharpen your image. You will then move on to work in the Edit window where you will learn how to crop images, remove dust spots or unwanted or distracting image material. You will learn the advantages of working in Layers and how to expand the range of your images. You will learn about lens distortion and how you can correct this phenomenon. You will learn about Elements filters, how to lasso parts of your image and work on the lassoed area of the image. You will learn how to create Vignettes for your image and much, much, more. 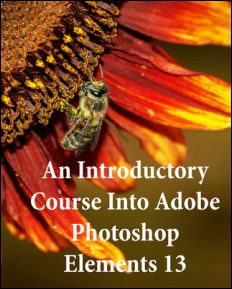 Although this course is directed at Elements 18 many of the techniques may be applicable for other Photoshop programs. Participants may wish to avail themselves of a copy of Scott Kelby and Matt Kloskowski’s The Photoshop Elements 15 Book for digital photographers. Register at any club meeting or at the first PSE 15 class. Payment is CASH or CHEQUE only.